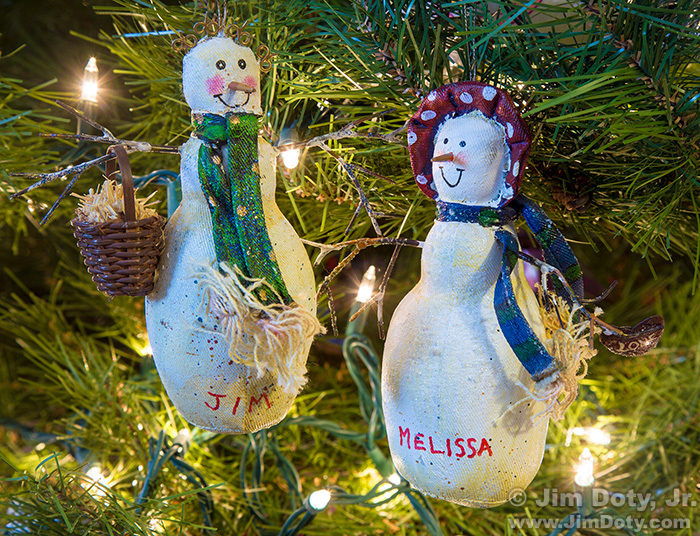 These ornaments were a gift, so they are special. We always hang them side-by-side on the Christmas tree. It was January 31 and we were going to take the tree down (yes, we leave the tree up for a long time), so I was taking a few photos of the tree. This is my favorite image for January 31. Rachel, Columbus Ohio. January 31, 2008. January is a good month for doing portraits since I have never been much of a winter nature photographer. This photo is unusual since I almost never have a studio light directly above the model’s face. This photo is an exception, and it works due to the angle of her face. You can see the catchlight from the studio light in her eyes. This is my second favorite image for this date and one of my favorite portraits for any date..
Las Trampas Ornament, Las Trampas church, New Mexico. January 31, 2014. Thirty some odd years ago I was driving across northern New Mexico and spotted this old Spanish church from the 1700s. I jumped out of the car and took a few photos, jumped back in the car and went on my way. 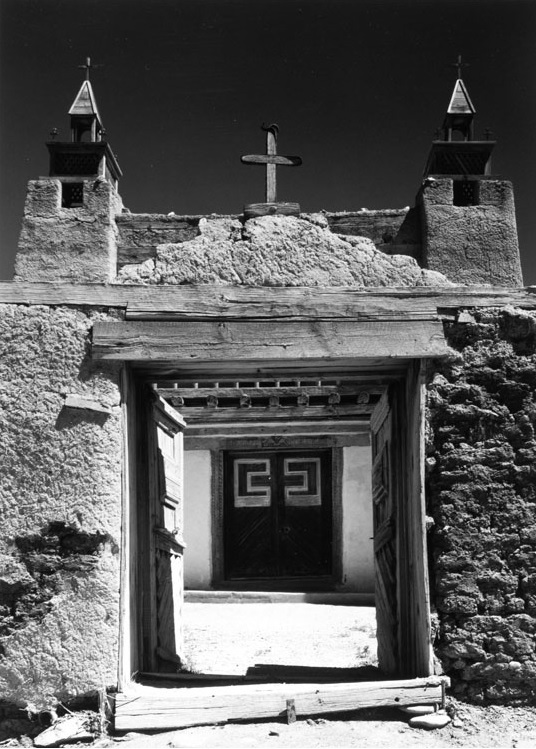 Ansel Adams, Gates and Towers, Las Trampas Church, New Mexico. © Ansel Adams Publishing Rights Trust. I did not know at the time that Ansel Adams, one of my photographic heroes, had created several of his classic images at Las Trampas. Quite some time later I found this Christmas ornament of Las Trampas and I bought it immediately. 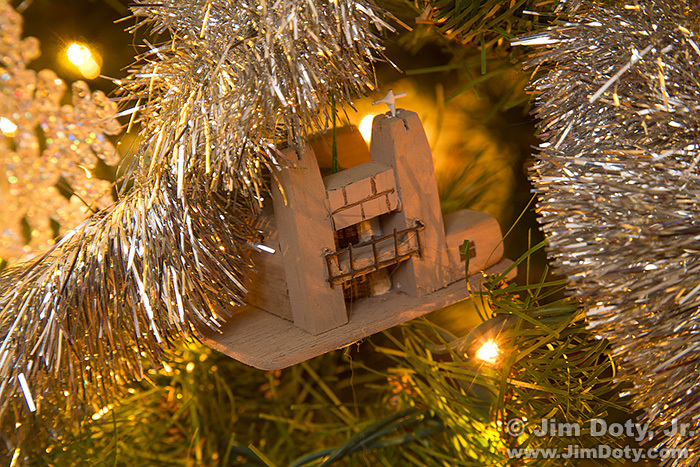 This photo of the Las Trampas ornament is my third favorite image for today’s date. If you are in northern New Mexico, head northeast of Espanola or southwest of Taos and stop at Las Trampas. It is a great photo location. Taos is a great photo location too. I really need to go back to Las Trampas and create some good images.